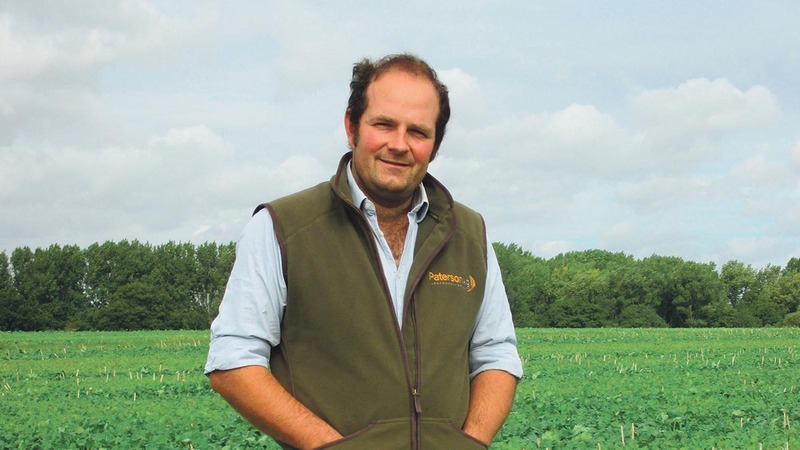 I am incredibly fortunate to have been elected to the position of NFU Crops Board chair and look forward to an immensely challenging and, hopefully, very rewarding two years. There has never been a more important time for our industry to stand up, shout loud and proud about what we do and the important role we play in managing our green and pleasant land, while also producing some of the highest quality, most traceable food in the world. I am writing this the day after my first NFU Council and I am going to outline the presentation I gave highlighting the major concerns and where we feel there are opportunities in response to the Health and Harmony Command Paper, though you may argue it should have been about food and farming. Firstly, we have to understand how reliant the crops sector is on the direct support we have been receiving. For the past four years, crop production has lost money, according to the Farm Business Survey, having been propped up by direct support and diversified income. Subsidising the cost of food production can only go on for so long and many businesses will be thinking hard about any other options are available to them. The next point is about trade. You may wonder why this is so relevant to the crops sector, especially over the last few years when the exportable surplus has been far less certain. Our largest market in the UK is the livestock sector, particularly the white meat industry, consuming about half of the wheat production annually. I also believe we could well end up in the position of the freest of free trade. My take on it is Michael Gove is a free trader at heart and his green credentials may not be as deep-seated. He is saying all the right things about only importing products produced to the same standards but I hope he does not end up like the farmers in the story Fantastic Mr Fox. As an industry we regularly have access to plant protection products and new technologies restricted by the EU and Government. The UK has been a resonating voice behind science and evidence-based decision making in the EU and now has the chance to bring this to fruition. But in the meantime, while we import circa three million tonnes of GM soya which undermines our protein market place, I feel we need compensating for the technology gap. I would term this an ‘equivalence payment’ which puts a true value on the cost of not having access to this technology, which to date has been banned on the basis of a perceived public or environmental good. I also believe we have opportunities in the supply chain. We need a supply chain which truly values high quality, traceable British wheat. If this wheat is not produced in the UK because it is not viable, then in the long run it is not the raw ingredient which will be imported, but the finished product and we will end up exporting our manufacturing industry abroad. This really is not a picture which our treasury would like the look of as it would start to have impacts on the balance of payments and employment. Finally the environment, I genuinely believe we need to embrace a ‘Green Brexit’ and start developing a scheme which is genuinely deliverable on-farm rather than ending up being given something which is unworkable and has been designed by the environmental non-governmental organizations. We need to move away from the model of income forgone towards a scheme which is competitive and takes account of machinery and land costs. I look forward to the environment being a profit centre on my farmwhich both my heart and my head are truly invested in and where intensive food production is being done alongside intensive environmental management.